Fiji journalists have less training and lack journalism qualifications compared with Papua New Guinea but are better paid, according to a new study on Pacific media. However, wages and salaries for journalists in both countries are poor with almost half of surveyed Fiji journalists being paid $10,000 a year or less and more than two-thirds of PNG journalists in the equivalent K10,000 band. A summary of the survey findings, conducted in 2001 by Auckland University of Technology senior lecturer in journalism Dr David Robie, was presented at the Australia-based Journalism Education Association (JEA) conference in Suva, Fiji, last week. The full findings have been published in Mekim Nius. 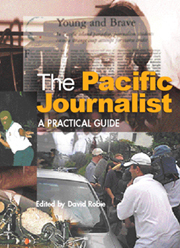 A new book is being published that challenges the South Pacific's culture of short course media training funded by international donors. Mekim Nius also exposes media and the region's politics. Barely one in five New Zealand journalists can speak Maori, one of the country's two official languages, a new national survey of journalists has found. And most of them describe their fluency as merely "moderate" or "minimal", reports Pacific Journalism Review. Perhaps 75,000 people have already seen Someone Else's Country, Alister Barry's feature documentary telling the story of the politics of Rogernomics. It has come to be regarded as a New Zealand classic. After eight years TVNZ is finally screening it - along with In a Land of Plenty. Te Waha Nui journalist Edward Gay's pictures of the hikoi in Auckland - images of Maori, Pakeha, politicians and gang members. Journalists at the New Zealand Herald are refusing to work for APN's new Herald on Sunday unless the company offers new staff a collective contract. Staff on the Sunday paper, due to appear on October 3, are on individual contracts. 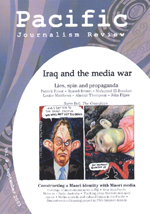 At least 40 journalists and media assistants have been killed in Iraq since the war began there in March 2003. Twenty-five of them have been killed this year in the course of their work. Two French journalists are still missing. Samoa says it is looking to the internet as a way of developing the country. Samoa has become one of the first Pacific countries to adopt a strategy for information and communications technology. New Zealand media coverage of the South Pacific has been blasted by a Fiji columnist writing in the new journalism school newspaper Te Waha Nui as being mostly about sun, sea and sandy beaches. 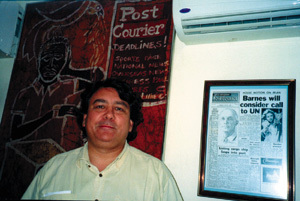 New Zealanders deserve the truth, says former Fiji Times journalist Sudesh Kissun. Since its release many critics have lined up to shoot down Michael Moore and his film. Renowned journalist, author and commentator Christopher Hitchens describes Fahrenheit 9/11 as "a sinister exercise in moral frivolity, crudely disguised as an exercise in seriousness". His debating partner, George Monbiot is one of the leaders of the anti-war push in Britain, an author and columnist in the Guardian newspaper. Demands that Australian police be immune from prosecution while helping to restore law and order in Papua New Guinea have been described as a slur on the country's legal system. The Foreign Minister, Rabbie Namaliu made the criticism of Australia's stand on the eve of talks in Port Moresby with his Australian counterpart, Alexander Downer. This new Alternet book by Christopher Scheer, Lakshmi Chaudhry and Robert Scheer, is an insightful and incisive primer exposing the bullying and mendacious misinformation campaign George Bush's White House used to secure the support of Congress, the media and a majority of Americans for a preemptive invasion and occupation of Iraq. Vietnam's struggle for independence from French colonialism culminated in one of history's epic battles - the 56-day-long siege of Dien Bien Phu. Some of the shocking photos that led to an investigation into conditions at Abu Ghraib prison, Iraq, now run by the US-led occupation authorities, as revealed in a controversial report broadcast by CBS on 60 Minutes. King Taufa'ahau Tupou IV has been named as one of six hereditary rulers proclaimed global 'predators of press freedom' in a new book published today by Paris-based media monitoring group Reporters Sans Frontières. The Fiji government was also criticised. Six days of funeral events have been taking place in Fiji for the country's former leader, Ratu Sir Kamisese Mara, who died at the age of 83. The head of Maori radio service Ruia Mai has paid tribute to the many staff who contributed to the production of thousands of hours of Maori language radio programming for the iwi radio network over the past eight years. The station has lost the contract for network Maori news. Peace advocate Josephine Sirivi today talked of the personal stories of Bougainville's women survivors during a decade of civil war that inspired her into publishing a new book about the conflict. Speaking at the New Zealand launching of the book As Mothers of the Land, she said she thought of the special life stories she wanted her children to know after the conflict had devastated her homeland. 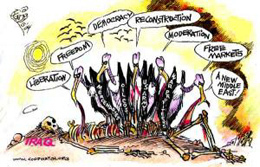 JOHN PILGER ON IRAQ: WE CAN WIN A PEACEFUL WORLD! Let us be clear on the facts of what happened one year ago on March 20. The United States, aided by Britain and Australia, attacked a sovereign country, unprovoked, and in breach of the most basic principles of international law. By the most conservative estimates, up to 55,000 people were killed, including at least 10,000 civilians, a figure confirmed this week by Amnesty International. Eight days out from the launch of Maori Television, New Zealanders are being asked to reserve judgment on the channel until they see it. Board chairman Wayne Walden has asked Maori and non-Maori to put aside any preconceptions they hold until next Sunday. The station, which aims to revitalise Maori language and provide a window into the Maori world, has had a rocky passage since it was first mooted in 2001. A Knight Fellow, Carolyn Robinson, profiles her new, 'home-grown' approach in journalism teaching in East Timor. Media outlets remain in limited number. There are just two daily newspapers with a combined circulation of 1000 copies. Cook Islands freelance journalist Jason Brown has described the country's news industry as being in crisis but says the timing of the government broadcast review should be viewed with suspicion. Writing in an open letter to the Cook Islands News today, Brown said any serious attempt at media reform should be transparent and accountable. Watching and reading all admissions about how intelligence failings over Iraq's "arsenal", one is tempted to ask, where were all the analysis before the war? Why didn't we learn more about these deceptions and concealments in the months when the administration was pressing its case for regime change-when, in short, it might have made a difference? Some maintain that the many analysts who've spoken out since the end of the war were mute before it. But that's not true. "The fragile status of the Pacific media has been reinforced by a number of occurrences, including the torching of a Papua New Guinean newspaper's offices by an armed gang, and the case in which a Solomons Islands Cabinet minister demanded money with menaces from the Solomon Star. 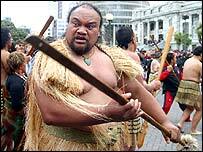 Worst of all, free speech is now being suppressed in Tonga in the crudest and most lamentable of ways." Indonesia has been warned that press freedom is back under threat, despite the downfall of authoritarian president Soeharto six years ago. The media has come increasingly under threat with state officials and businesspeople lodging criminal and civil charges against media enterprises without taking the Press Law into account. The Hutton Inquiry let the Blair government off the hook and trained its guns on the real enemy: independent journalism. The Firing Line 2003 celebrates the "best" and "most dangerous" photojournalism of the year. Includes this year's nominees and winners of the 2003 Rory Peck Award. In 1993, freelance cameraman Rory Peck was killed in the crossfire while filming a coup in Moscow. © 1996-2005 Asia-Pacific Network. All rights reserved.